7mm tin cut crystal rosary with Aurora Borealis finish. 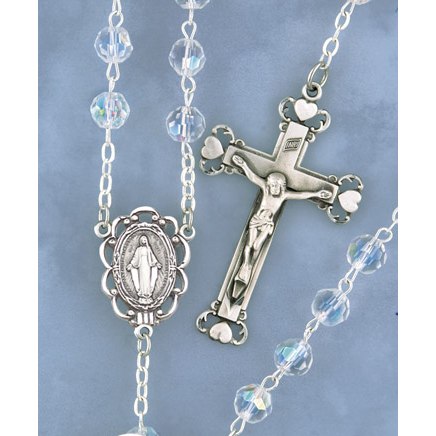 Sterling silver crucifix and centerpiece. Contact us for quantity discounts. All items are F.O.B. factory. Prices are subject to revision without notice, please contact us to confirm current price.